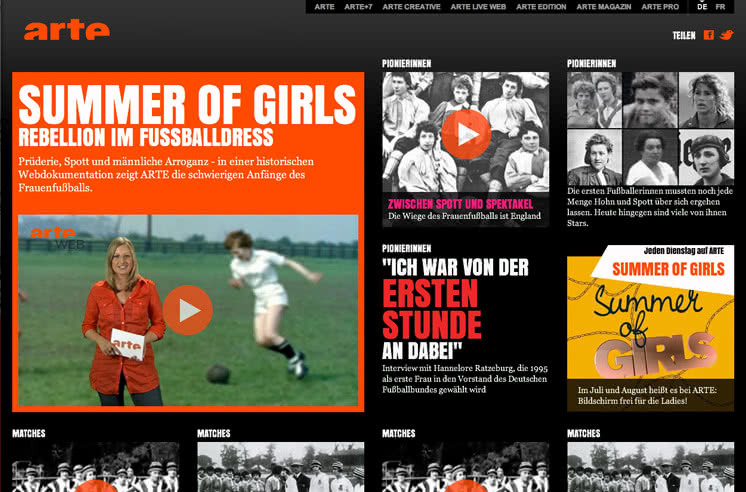 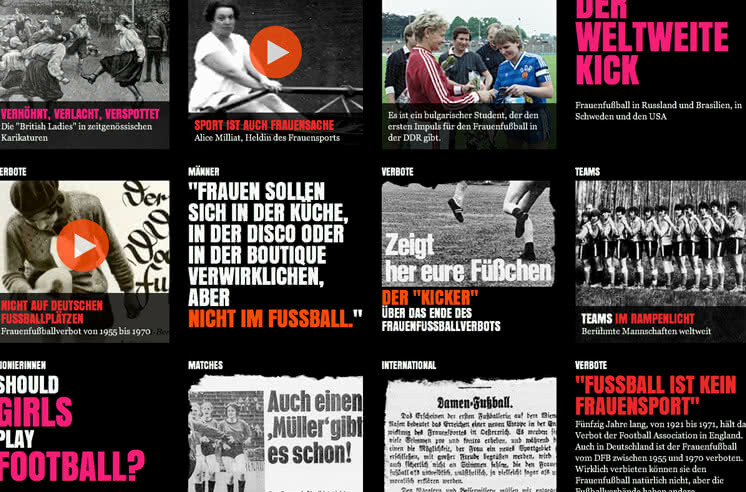 “Summer of Girls” is an interactive web documentary, produced for ARTE. 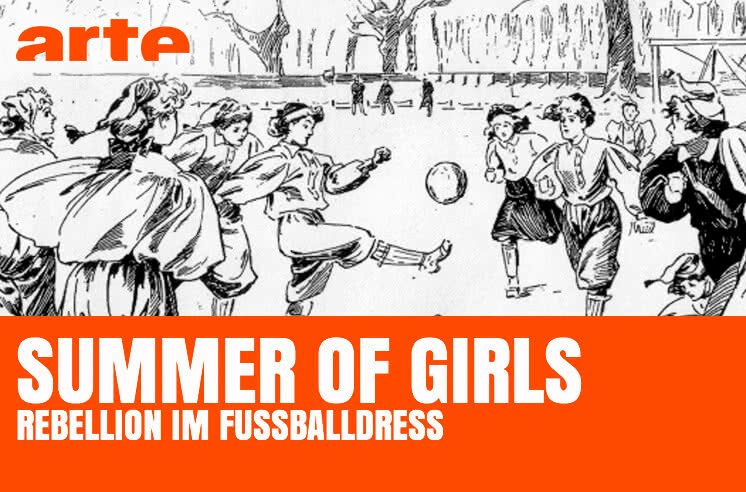 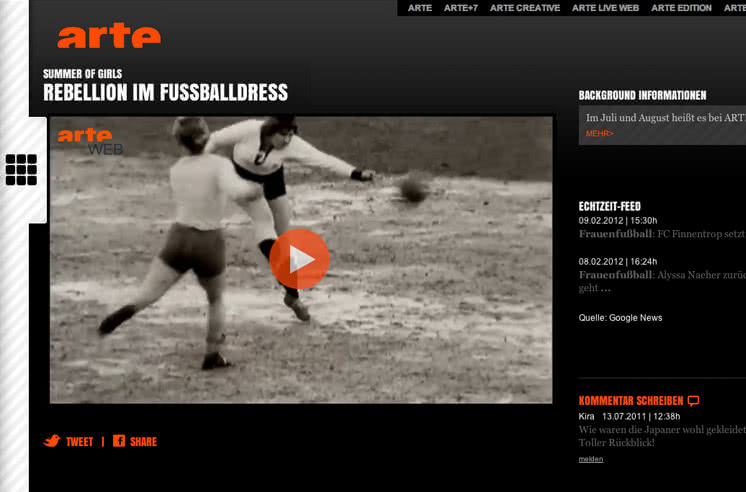 It explores the origins of women’s soccer and follows its history until the world cup in 2011. 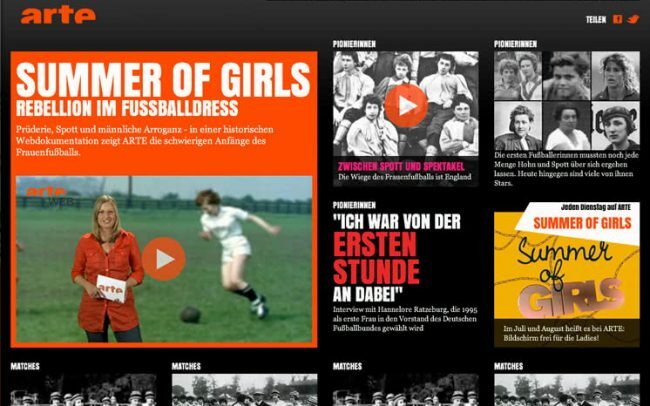 At the heart of this billingual website is a presenter-led video series. 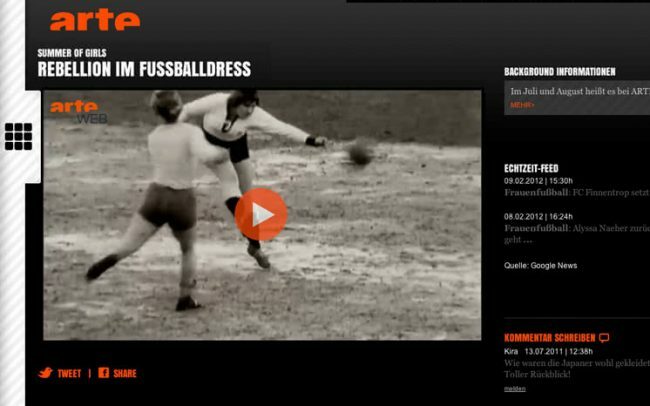 The themes of this series are further explored through additional articles, news feeds, and user comments.